As a wife/mom of two girls/housekeeper/cook/part-time blogger/chauffeur, I sometimes find that I don’t have as much time as I would like to cook meals for my family. I have been using the slow cooker and the oven more this year to give me more “hands-free” cooking options since my kids often desperately need something from me just as I start to get dinner going. And let’s face it–we can all use more simple, healthy recipes that our families will love and that don’t require standing over a hot stove. In fact, I recently made this dish on a day that reached a whopping 90F (a rarity where I live), so cooking was the last thing I wanted to do. 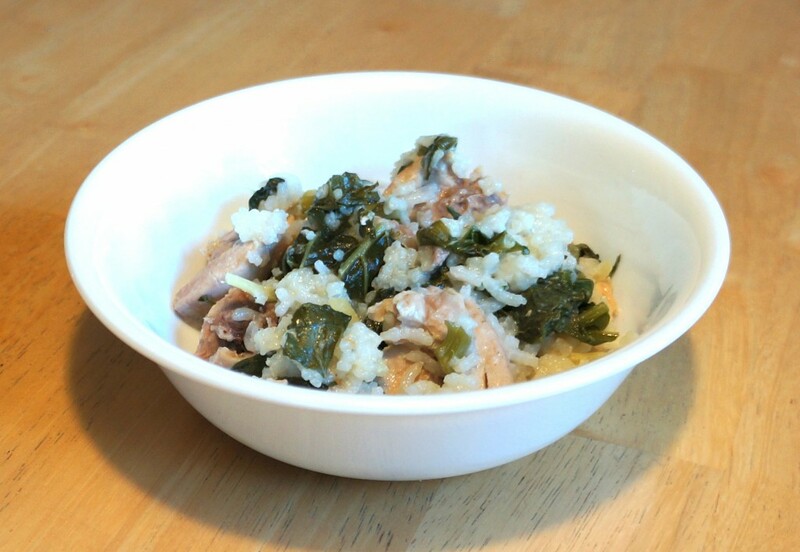 One of the things I love most about Rice Cooker Coconut Chicken and Kale is that it is super easy—just toss all the ingredients into the rice cooker and turn it on! I also love that it is a meal in itself: no side dish required. The coconut milk adds a creamy richness with a hint of Asian flavor from the ginger, and you can always add some hot sauce when you serve it if you want it spicier (that’s what B does). My mouth is watering…wish I had leftovers! This recipe is based on one I found in the July 2010 issue of Food & Wine (see original here), but I made some changes to make it more nutrient-dense and suited to my taste preferences. It is one of my go-to meals for busy days when I want something simple that the whole family will enjoy and that just tastes good. I hope you enjoy it, too. 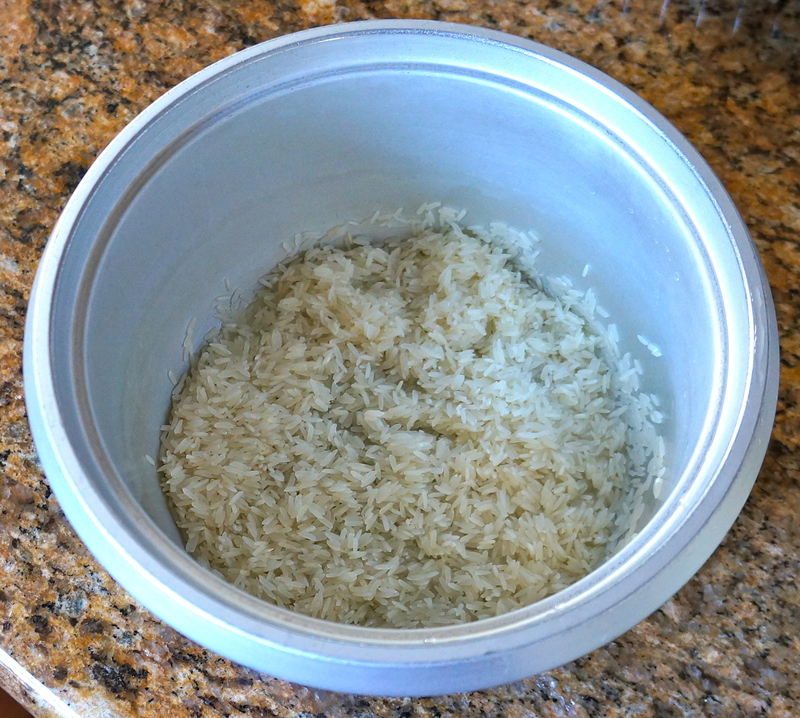 Put rice in the rice cooker bowl and rinse it several times until the water runs clear. Drain off as much water as you can. Add chopped chicken and ginger and stir to combine. Top with 3-4 packed cups of the greens. 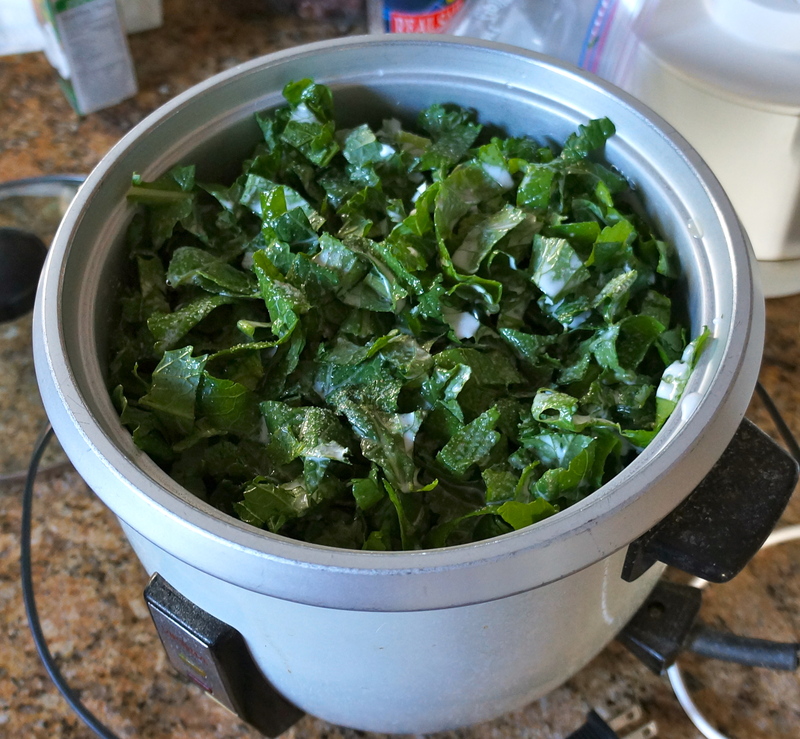 I basically fill the rice cooker to the top with the greens. Pour the chicken broth and coconut milk over the top and then season to taste with sea salt. Put the top on the rice cooker and turn it on. When the cooker turns off, it is finished cooking (this takes about 40 minutes). Lightly stir the contents and serve. 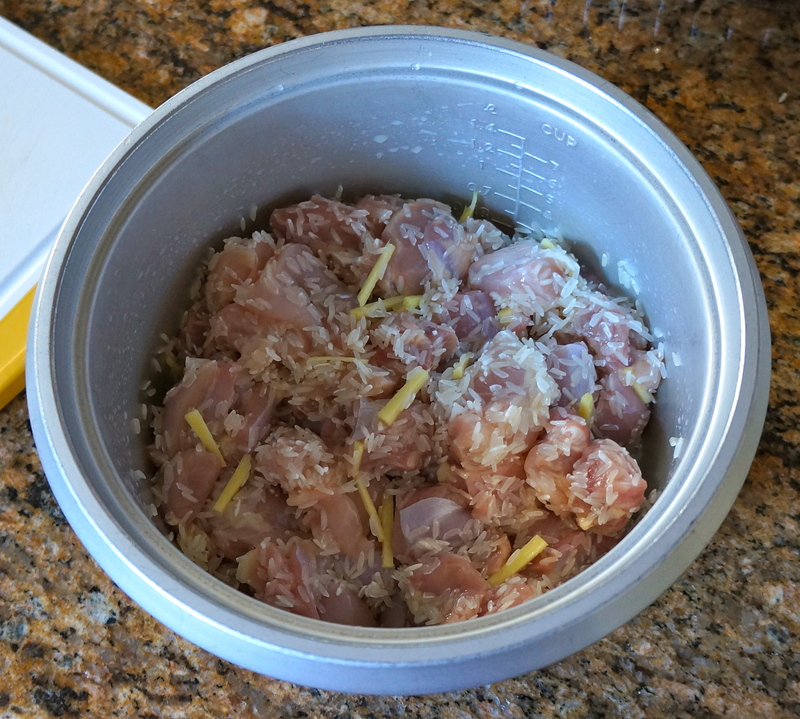 Note #1: If you like your rice on the drier side, use only ¾ cup of chicken broth. The extra ¼ cup will make the rice more moist and sticky. Note #2: You can use brown rice for this recipe, but you will need to add ¼ cup more liquid and it will take a bit longer to cook. This post is linked to Monday Mania and Real Food Wednesday. Oooh, I haven’t tried it in my Instant Pot! Let me know how it turns out!